Glacier National Park is the highlight of Western Montana, an area vast and untamed, renowned worldwide for being so. One glance at a postcard or one Google search and you can see why – the vistas are breathtaking, the mountains and valleys are beautiful, and the nature of the national park is, in a word, nature. 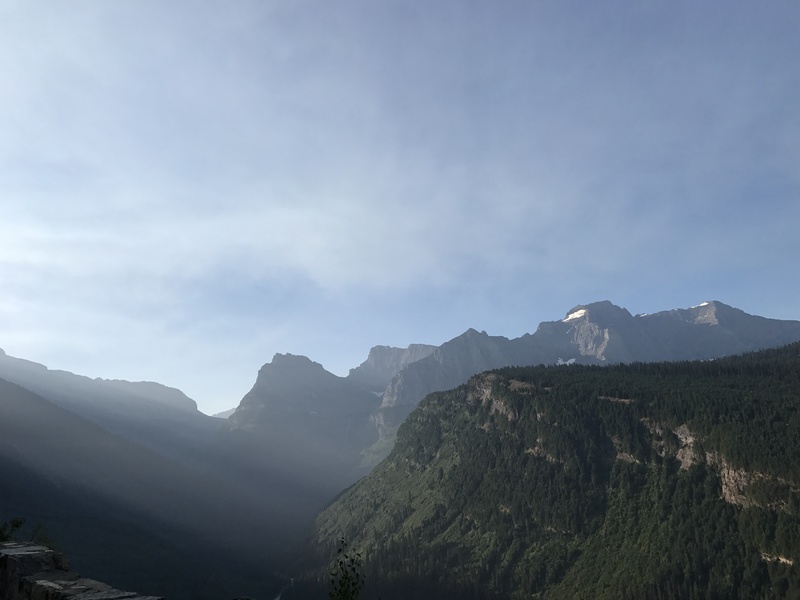 One of many spectacular views in Glacier National Park. 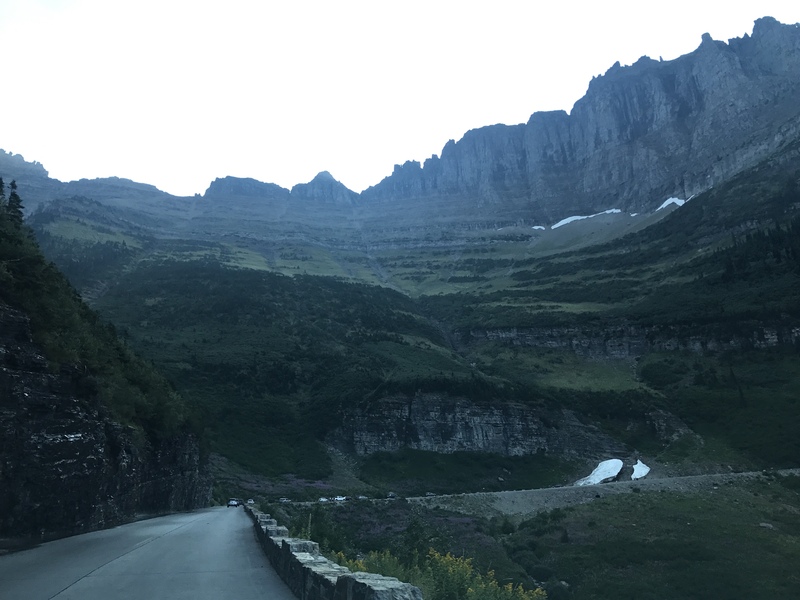 There is one paved road I’ll mention and it winds through Glacier on dynamite-blasted roadways next to sheer cliffs and steep mountain slopes, and at times tunneling through the same . It is uniquely named. 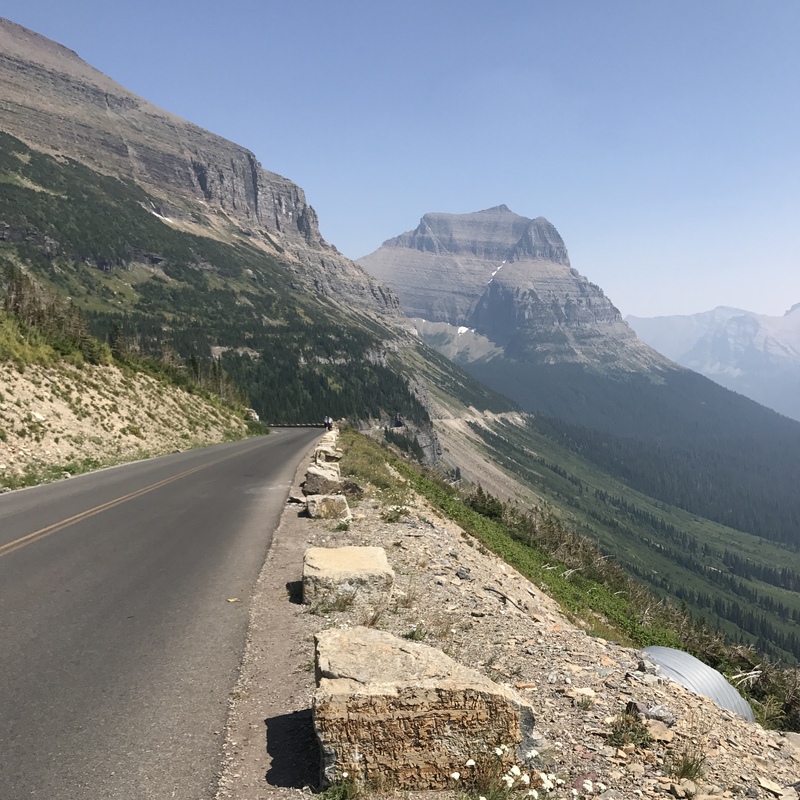 Going to the Sun Road gains nearly 3300 feet in elevation across its 50-mile length, peaking at 6,646 ft at Logan Pass. It is regarded as an engineering marvel, and it is clearly evident why once you are on it. The road features both bridges and tunnels, depending on the terrain it passes through. Here you can see the road climb up the side of a sheer mountain slope. Another from the other side of Logan Pass. From the other side of Logan Pass. You can see much from just the road, but you don’t want to stay on the road, in your car. 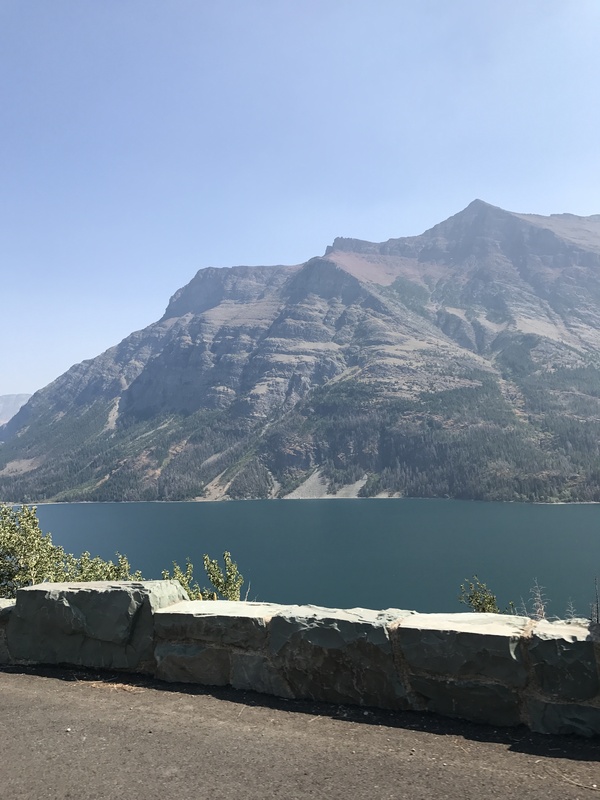 The 50-mile scenic drive that Going to the Sun Road provides does allow you to sightsee Lake McDonald, several glaciers from the distance, and St. Mary’s Lake – all beautiful sights. But if you came to Glacier, that isn’t what you are here for. You didn’t come here to sightsee from your car. If you came here, you enjoy the outdoors, and there are plenty of amazing hikes to enjoy. 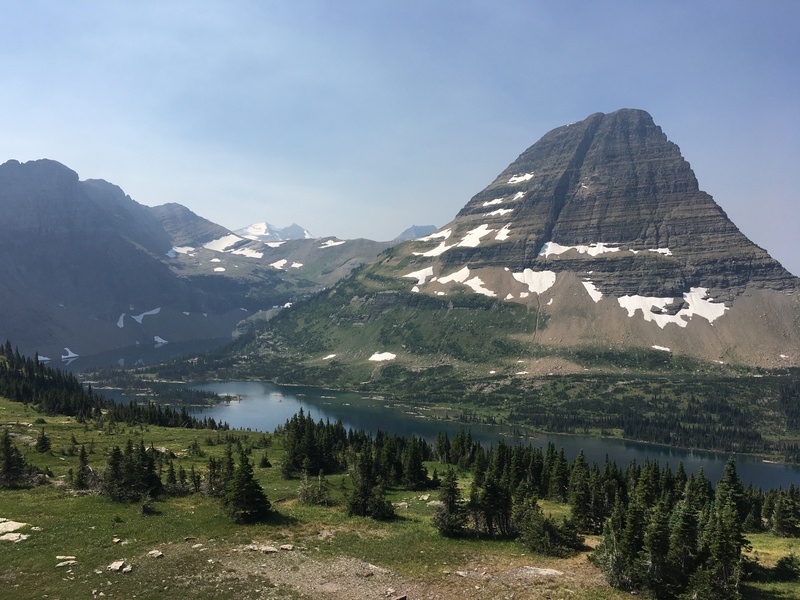 The obvious destinations are the glaciers – Grinnell or Sperry come to mind – but if you want the best of Glacier, your true destination is off the beaten path and hard to find. 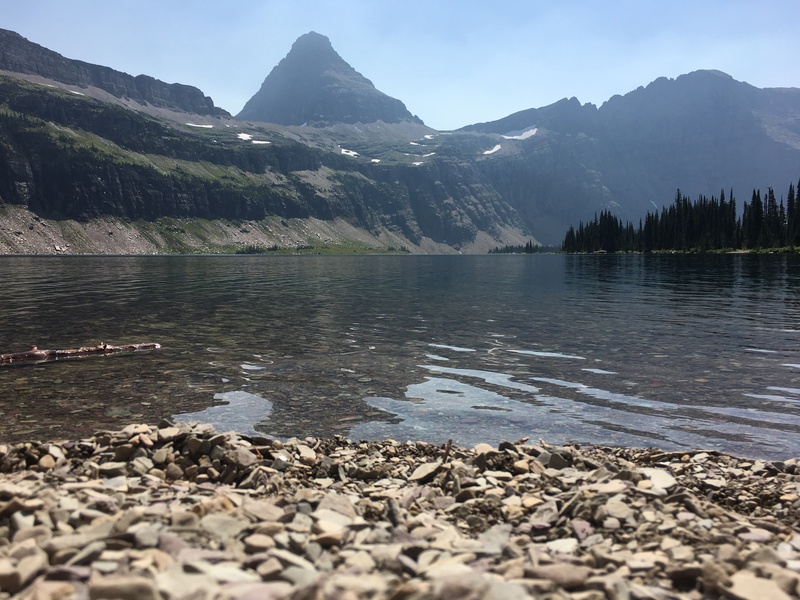 If you see one thing in Glacier National Park (and you will see many along the way), you should see Hidden Lake. From a little past the halfway mark, on a ridge above the lake and past the overlook. 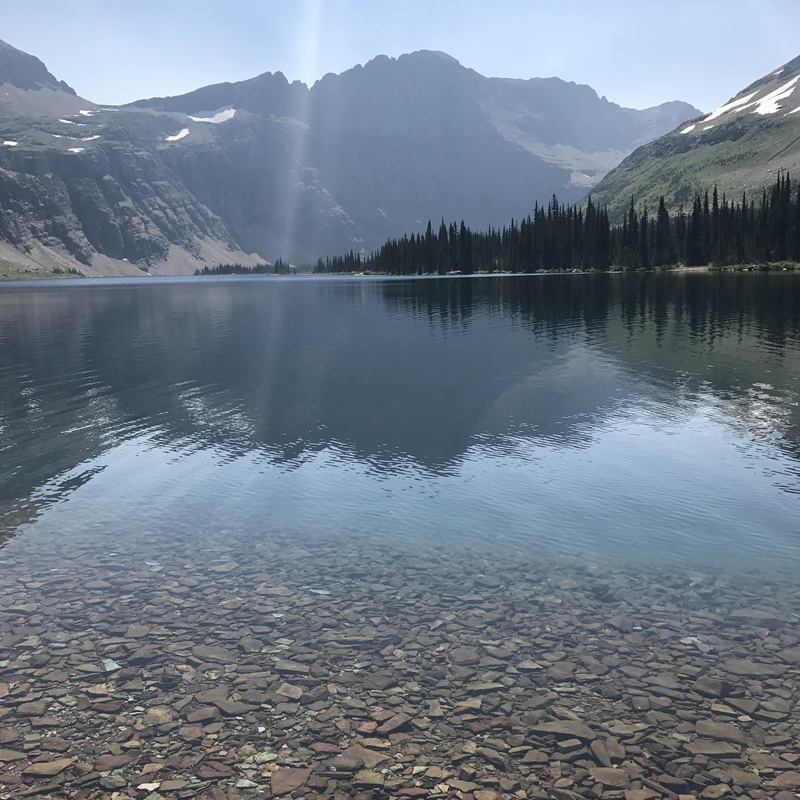 There are many pictures available online, but this is one of mine – Hidden Lake drains from nearby snowmelt and glacier, and is an accessible 5.4 mile roundtrip hike from the Logan Pass visitor’s center. To get to Hidden Lake you park at the visitor’s center – and you should go early (and I mean early) because the parking lot at Logan Pass fills up early, especially during peak hours. 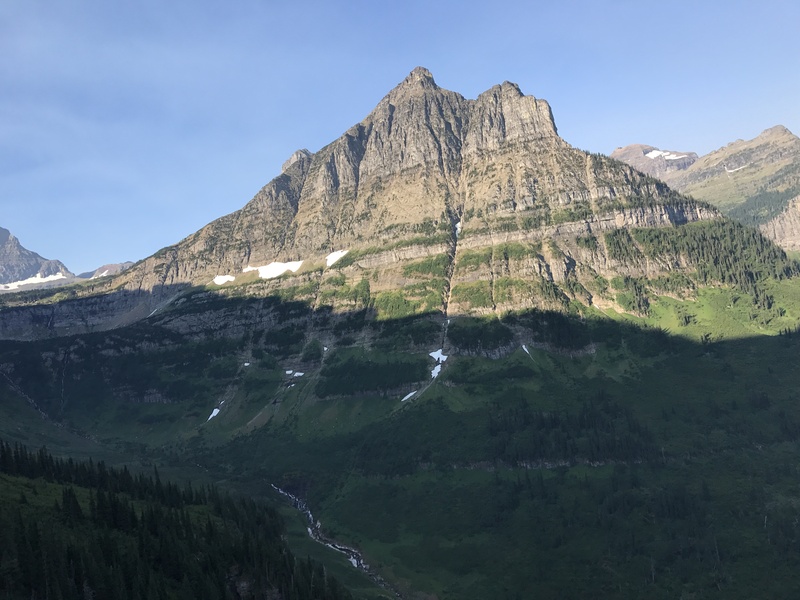 I’d recommend getting to the park gates at 6 AM during a weekend or 8 AM during the weekdays at the very least – and while this seems extreme, don’t forget you can pack the night before, and for most, visiting Glacier is a once in a lifetime opportunity. There is no reason not to do it right. 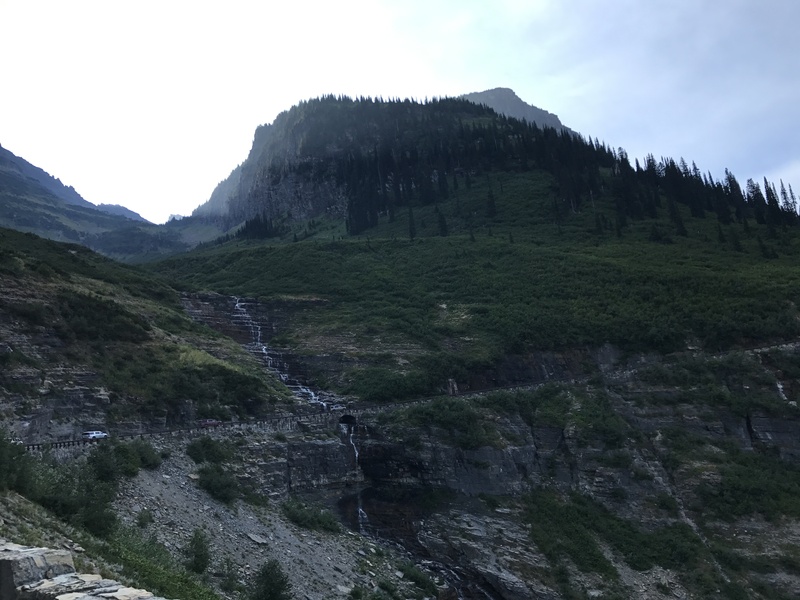 However, in the unlikely chance you don’t wake up that early on your vacation, there are shuttle buses that run along Going to the Sun Road. These aren’t as convenient as many would expect in the middle of the wilderness. From the Hidden Lake Overlook. 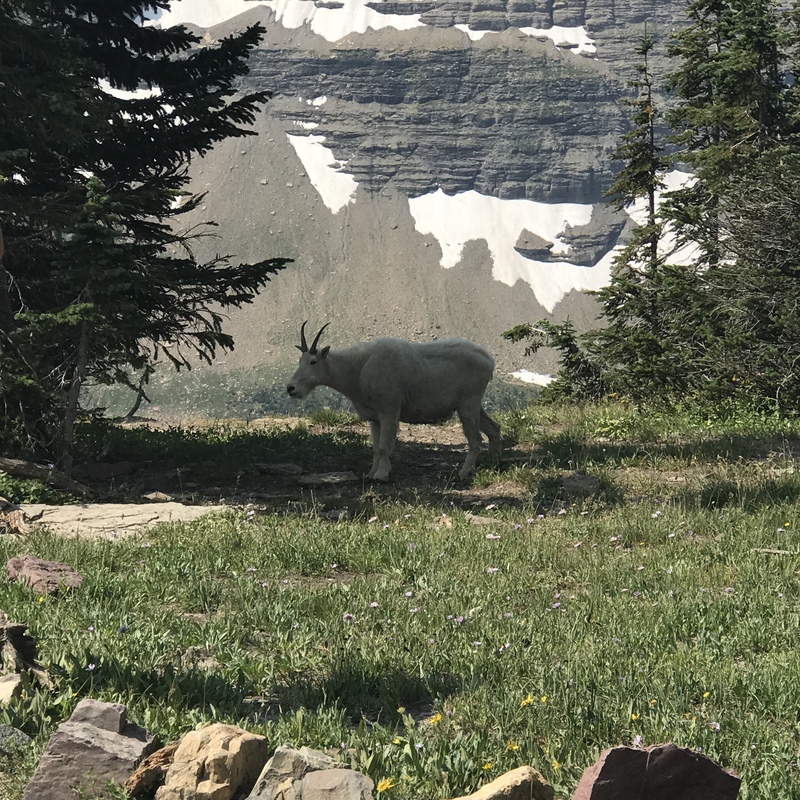 There is plentiful wildlife – a herd of mountain goats may wander across your path. 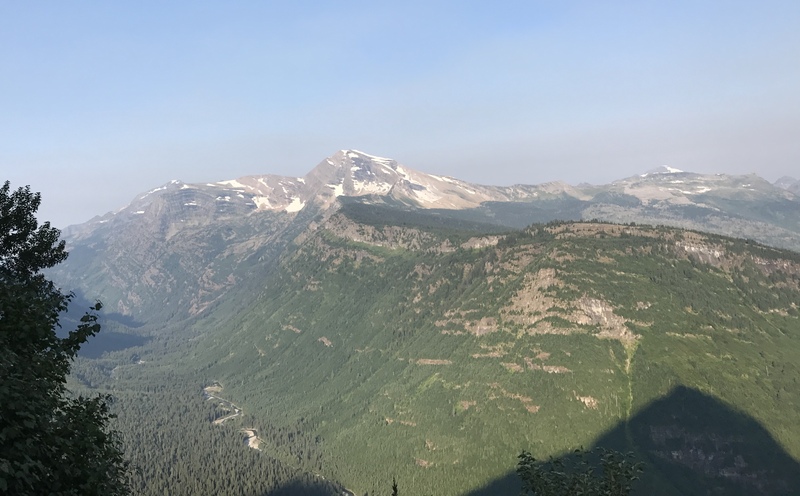 A panorama view from Hidden Lake Overlook. The Hidden Lake Nature Trail has two legs – the first to the overlook, a tame 1.4 miles, then down to the lake, a less-tame 1.2 miles. 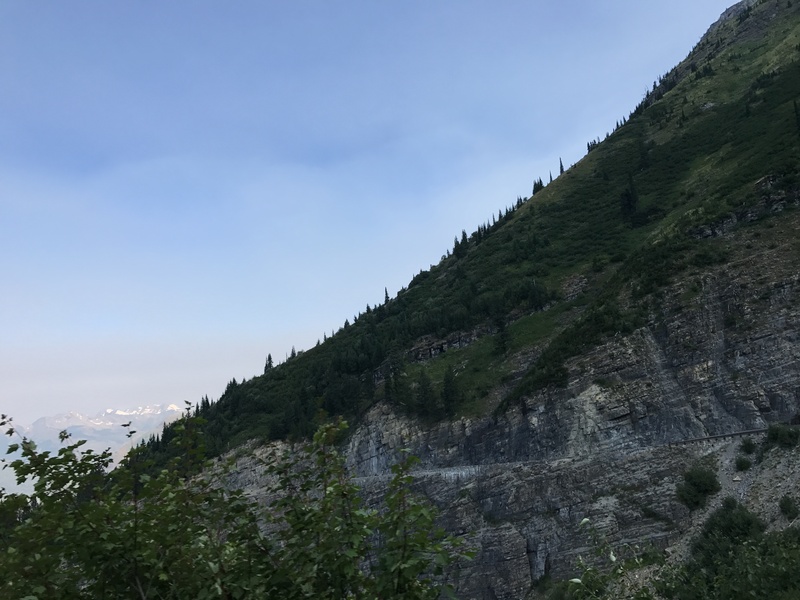 This second leg features significant elevation drop on the way down and gain on the way back – 780 ft., per the NPS website. Above are pictures of the lake, taken from the northwest corner, a small, rocky beach. The water is cold, but cleaner than most anywhere else in the world, and clear. You can swim here, you can fish, you can stay a while. 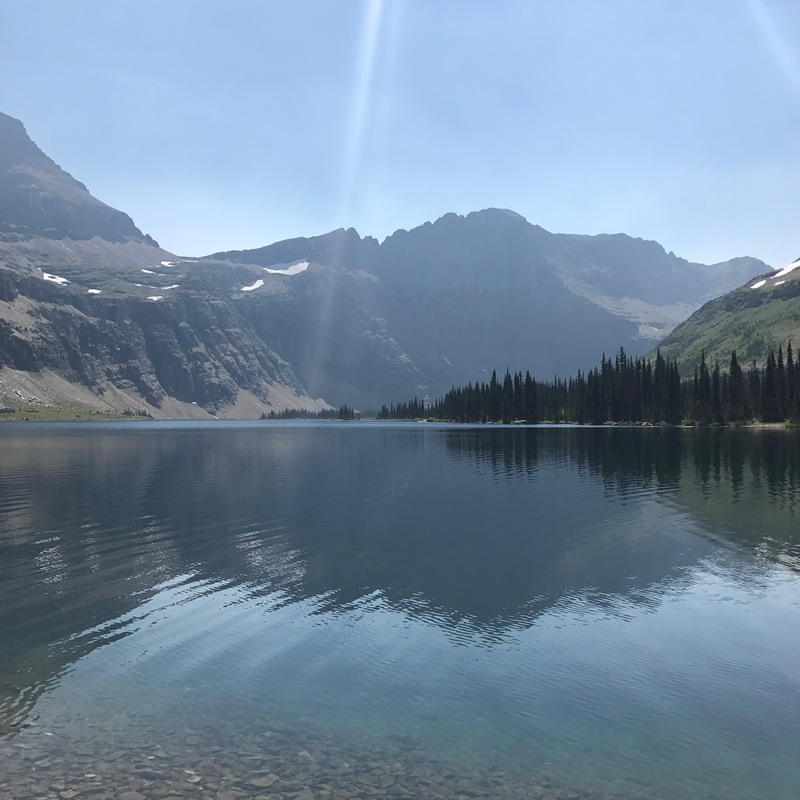 It’s the perfect getaway in Glacier National Park. A gentle reminder – don’t feed the wildlife, no matter how cute they are.